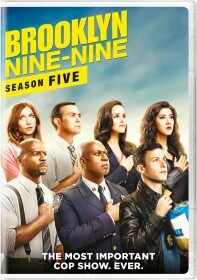 FOX has issued the press release for the April 12 episode of Brooklyn Nine-Nine, "Bureau". Dennis Haysbert (24) and Aida Turturro (The Sopranos) guest star in the episode. "Bureau" - With Pimento's (guest star Jason Mantzoukas) life still in peril, Captain Holt calls on an old friend in the FBI (guest star Dennis Haysbert) to help with a seemingly impossible heist. Meanwhile Amy makes a breakthrough while undercover, and Terry and Gina discover an information leak in the Nine-Nine in the all-new "Bureau" episode of BROOKLYN NINE-NINE airing Tuesday, April 12 (9:00-9:30 PM ET/PT) on FOX.